Article excerpted from Four Florida Moderns by Saxon Henry. A colorful survey explores the diverse styles of the arbiters of modernism in Florida. More than 300 vibrant, full-color photographs offer a survey of work by each of the architects. 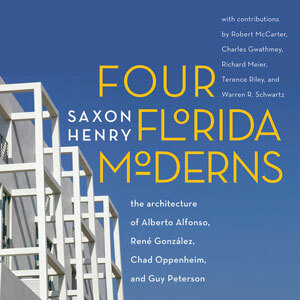 At once a striking visual tour and a thoughtful examination, Four Florida Moderns treats readers to the rich and innovative styles of tropical modernism as conceived by four trailblazing architects.